Gone are the days when celebs would just take the hate from social media trolls and not respond to protect their brands. These days they dish out out clapbacks like no other. 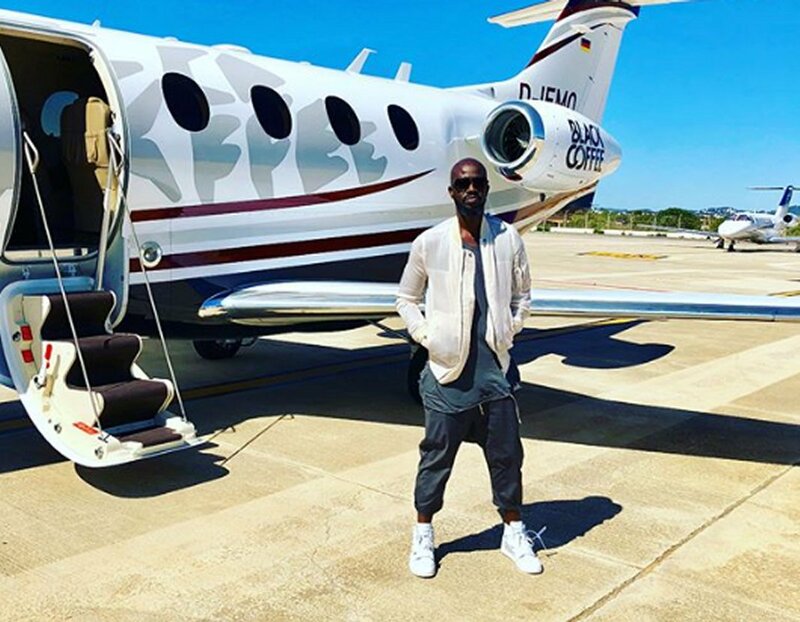 Black Coffee recently took to Twitter to give advice to his dropout fans to work hard and have faith that things will work out. One Twitter user didn’t agree with the DJ and responded with an opposing idea. “Not all of us are Black Coffee. Finish your degrees guys. 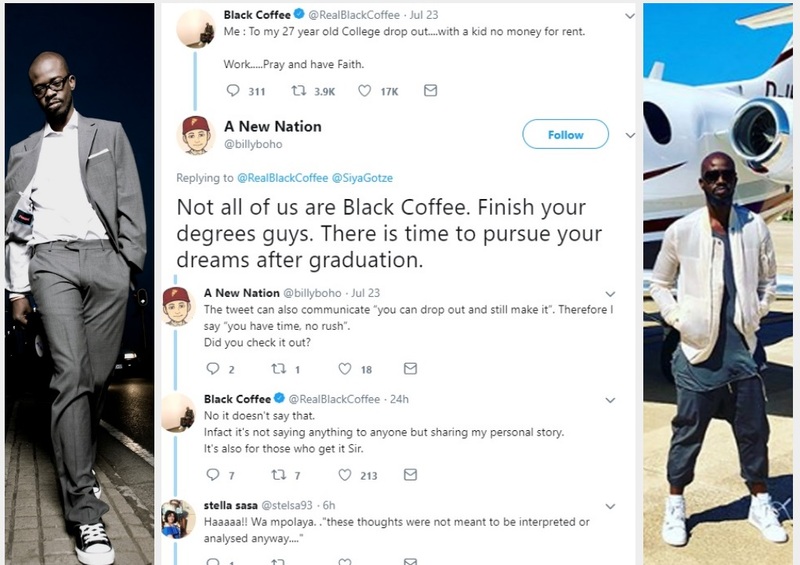 There is a time to pursue your dreams after graduation,” the Twitter user responded to Black Coffee’s tweet. 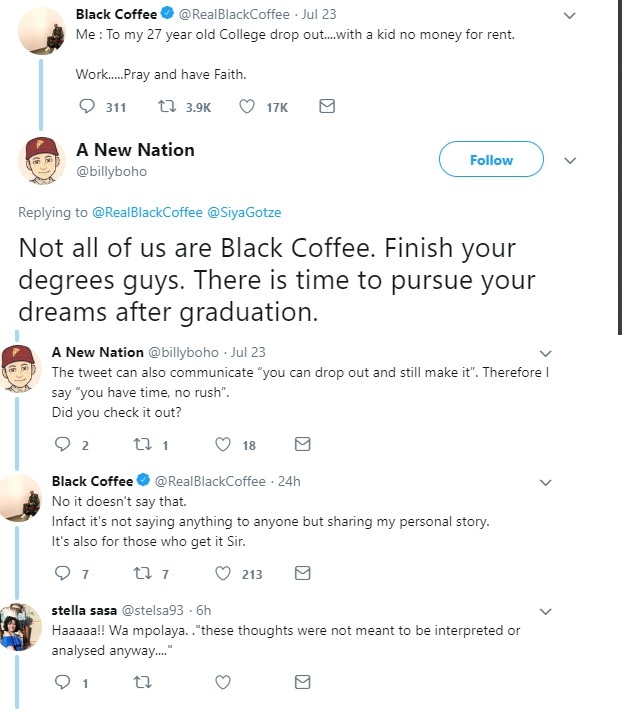 In response, Black Coffee put the twitter user in their place saying he was sharing his own personal story and advising those who actually get it.